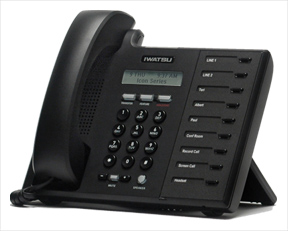 The Iwatsu Enterprise-CS phone system streamlines call processing and voice messaging for customers and employees. The system integrates with applications including transparent networking, unified communications, contact center solutions, in-building wireless and more. Here's a quick tutorial on how you can access a personalized user log-in with any Iwatsu ICON 5810, 5910, or 5930 phone. Station log-in allows users to access personalized quick keys, receive calls to the specified extension number, check up on voice mail, and more with just a simple log in and password on any of the compatible phones. 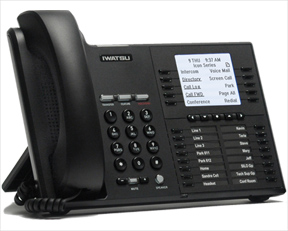 Use a Mobility Key to transfer a call back and forth from your office phone to your cell phone. 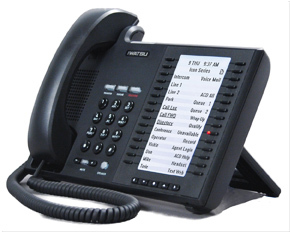 The Mobility Key is available with Iwatsu Enterprise-CS and ICON Series phones (IX-5810, IX-5910, IX5930).